Ahhhh, Spring Break. All of us lovely college students can't wait for you to get here. After a long and stressful three weeks worth of extra work that no one will label "midterms," but everyone knows its midterms, you are so very much needed. While many students are taking advantage of the break to travel, several of us are just going home to chill. So, without further adieu, 10 perks of going home for Spring Break. Perhaps one of the most missed things among all college students, pets are an essential part of the lives of many. For most of us, we had to leave our pets at home with our parents when we went away to college, meaning that we only get to see them on the occasional weekend - until now, when we're going home for a whole week. After eating nothing but dining hall food for weeks with the occasional good meal thrown in, being home and having real food (most likely cooked by your mom) is something to get majorly excited about. Your longest and most committed relationship is probably with your bed in your room at home. So, go on home and enjoy your time with the real bae. The only thing better than sleeping in your own bed happens to be binge watching some of your favorites on Netflix from that very bed. Friends are kind of tricky because you rarely get to see them - especially if they also went away to school. Spring Break is a great time to reunite and catch up with them though because you've got a whole week rather than just the short time you would get with the rare weekend that you're both home. Even if you don't always want to admit it, everyone really misses their family at some point. Having a whole week to spend with them is always really nice. Just don't let them con you into helping with the chores around the house. Does this one really need a blurb? Honestly, there is nothing more taken for granted than showering barefoot. College changes that pretty quickly. It's the little things. You aren't paying for a hotel room, or food, or things to do. The phrase "poor, broke college students" definitely came from somewhere! Again, "poor, broke college students." Free is better, friends. Free is always better. If there is anywhere that relaxing is easy, it's at home surrounded by all of the familiarity of your own room, your own couch, your own stuff, and just your own everything in general. 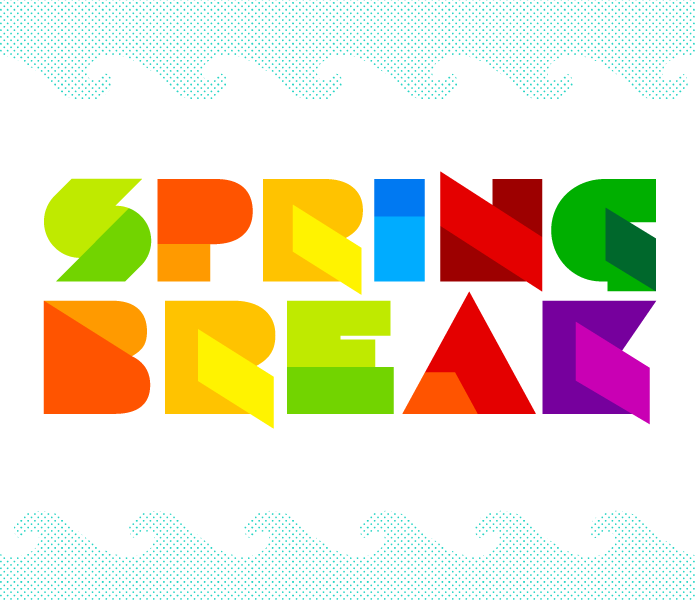 So, in short, don't feel like a looser because you don't have any fabulous and outrageous plans for Spring Break. Even though your friends might be going to beaches and big cities, you're still getting some pretty awesome perks.